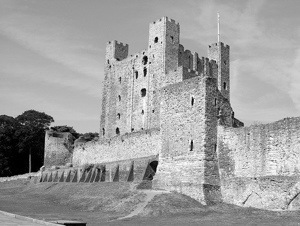 Some of you may know I live in Rochester (Kent) in the UK. 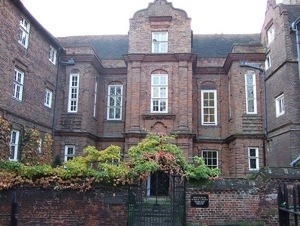 The town was frequented by Dickens who lived close by. He loved the place (as do i!) so much that he was inspired to use a lot of the locations in the town for his books. 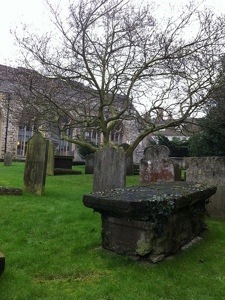 This is the Cathedral graveyard where you’ll find the grave of Little Dorritt. 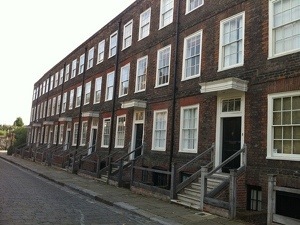 Below, The Vines, where Dickens would often be seen walking (no doubt mulling a plot over). He was seen in here, leaning against a fence people watching the day before he died. 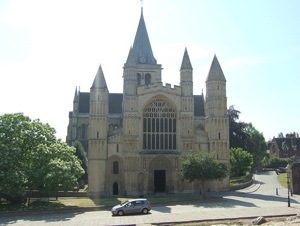 The Cathedral, 2nd oldest in the country, after Canterbury. 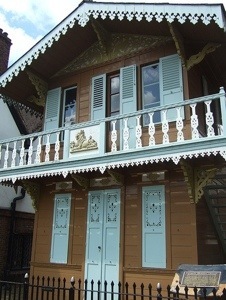 Dickens chalet, where he wrote some of his masterpieces. It was moved from his garden to its current location after his death. The Castle, site of many a battle! Dickens would often be seen walking round it talking to himself. Dickens wanted to be buried in the Castle Moat, but when he died, Queen Victoria wouldn’t allow it and insisted his body be laid to rest in Westminster Abbey. The first, and only time an English monarch has ever over ruled a persons last will and testament. 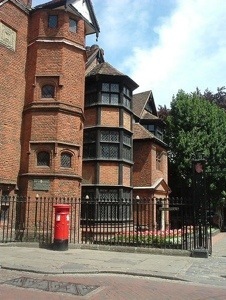 Eastgate House, featured in two of Dickens novels. He obviously found it inspiring as a location. And finally, Minor Cannons Row, which lies behind the Cathedral. Dickens used it in The Mystery of Edwin Drood. Please take a moment to visit some of these wonderful bloggers and I hope you enjoyed the mini tour 🙂 Do you find where you live inspiring? 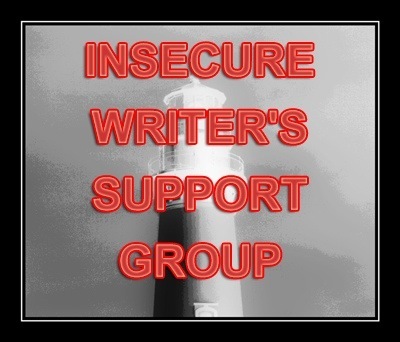 This entry was tagged Blog Awards, Charles Dickens, Inspiration, Mystery of Edwin Drood, postaday, Restoration House, Writer, Writer Resources, Writers Resources, Writing. Bookmark the permalink. You deserve all your bloggie awards, and thanks for posting these wonderful Dickens pics. An appropriate way to end the year I reckon! I LOVE those pic of Dickens’ favorite haunts! How cool that you get to walk in his footsteps and see the things that so inspired him! 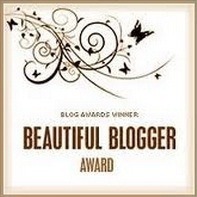 And congrats on teh Beautiful Blogger award! Way to go! 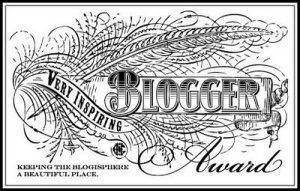 Thank you for the award You are the most inspiring and prolific blogger I know. I wish I had the time to chat but as you know I am preparing for a trip to your side of the world. 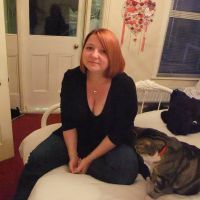 And if you e mail me your number I can add you to the list of people to phone so at least we can hear, if not see, who we chatter to on line. Have a great holiday! Awwww, thank you so much Sue! 🙂 and you’re very welcome! Congrats again!! The hubby recognized Havershams 🙂 Very cool places. 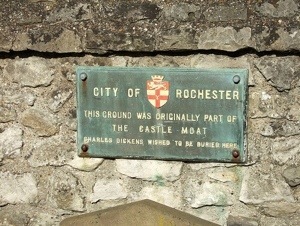 If we ever get to England, may have to add Rochester to the list. Wow, did he now, excellent! You are on quite the roll! 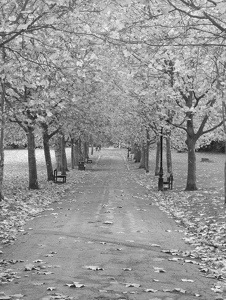 I love the black and white photo of the trees! 🙂 great photos thanks for sharing. You are a superstar! Well done and huge congratulations on all these totally deserved awards!!! Oh, and congrats on the awards. Well deserved! You’re welcome honey 🙂 Glad you enjoyed them! Congratulations on all the awards and I loved the pictures. Dickens is one of my favorite authors so it’s nice to see places where he actually hung out. It’s what I love about my town! Congrats! And your pictures are great 🙂 I’ve been meaning to go to Rochester forever and it’s still on my to-do list… something to do in 2013 maybe? Have a LOVELY holiday Florence, look forward to reading it!